At ArtReach St. Croix, we believe that the Arts are an essential part of what makes the St. Croix Valley great. All along the St. Croix River are places where the arts and nature come together in a way that is truly unique. ArtReach’s mission is about creating connections and celebrating these confluences. With your help, we continue to increase access to the arts for everyone living in and visiting this unique place. We see ongoing evidence that our work has a strong ripple effect. You have helped us “take it to the next level” as we ramp up our support of valley artists and reimagine our valley’s visual, literary and performing arts landscapes. Your support makes it possible for ArtReach to seize opportunities such as the Pop-up Holiday Gift Gallery. Our experience, established systems and extensive networks made this high-profile retail sales boutique a beautiful success. Your enthusiasm for Valley Reads has been amplified with a grant from the National Endowment for the Arts to support The Big Read in the St. Croix Valley in 2015, 2016 and 2017! Your support for the galleries make it possible for ArtReach to produce shows such as “Mackenzie’s Influence in the St. Croix” which featured the work of St. Croix Valley-based and internationally-renowned potter Warren Mackenzie and some of his mentees, students and colleagues. You have made it possible to raise the visibility of what is happening in the Valley through the StCroixSplash.org event calendar while helping artists and arts organizations focus on what they do best — making art and hosting programs. You have made it possible it possible to increase the collective reach of the Take Me to the River partnership. Hopping around the September art fairs reminds us why we love to call the St. Croix Valley home and makes us excited to introduce the Valley to visitors who experience art at every bend in the river. From Hastings and Prescott to Taylors Falls and St. Croix Falls, ArtReach works with individual artists, arts organizations and communities. We know that the arts are an essential part of what makes this Valley great! And we know that your support is critical to accomplishing our goals. 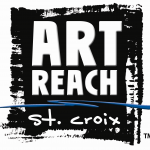 We invite you to positively impact the arts in the St. Croix Valley through a philanthropic gift to ArtReach St. Croix. Your financial contribution moves us closer to our vision of making the St. Croix Valley a nationally-recognized arts destination. If you have questions or comments regarding giving a gift, please contact us at info@artreachstcroix.org or call 651-439-1465. ArtReach St. Croix is committed to respecting the privacy of donors. Visitor, member, donor and prospective donor personally identifiable information is requested onsite and collected from membership applications and donation response forms. ArtReach St. Croix uses donors’ information to understand their interests in its mission and to update them on the organization’s plans and acitivites. It is shared with staff, board members, volunteers and consultants only on a “need-to-know” basis. Infrequently, ArtReach makes donors’ information available to other organizations in order to provide updates on other regional events and activities. For those who do not wish to be included on a mailing list that might be shared, please contact ArtReach St. Croix to have your information removed from such lists.